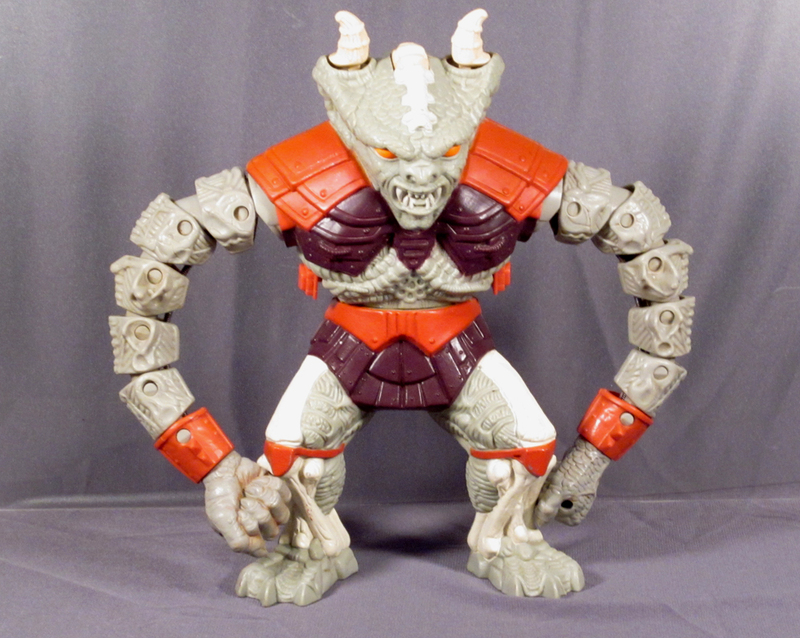 ← Primal Rage Necrosan: A Terrifying 90s Figure that’s Terrifyingly Expensive! As a collector of action figures, I understand that amassing a complete “set” of any one line usually requires amassing at least four or six action figures and at least a vehicle and maybe a playset. By collecting mostly obscure toy lines, I’m very fortunate in that most of the lines I like are rather small, and while they might be hard to find, it gives me less to collect. However, I’m pretty sure that Kenner’s Battle Brawlers has to be the set with the smallest number of things to collect. 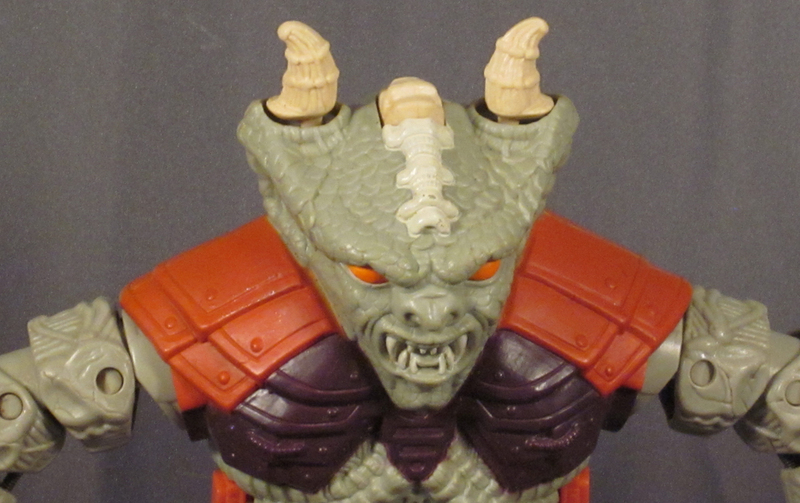 I’m writing about two figures that literally make up the entirety of the toy line. (left to right) Crackarm, Hammertail…and that’s it! The complete set of Battle Brawlers! 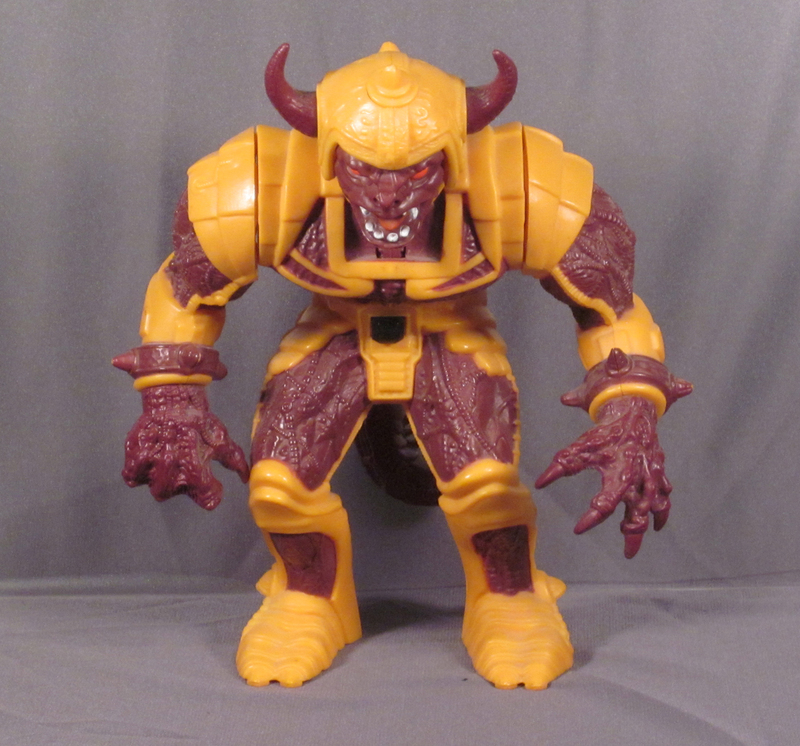 Battle Brawlers were released in 1986 at a great time for monster action figures. High fantasy lines like Masters of the Universe and Thundercats were still going strong. 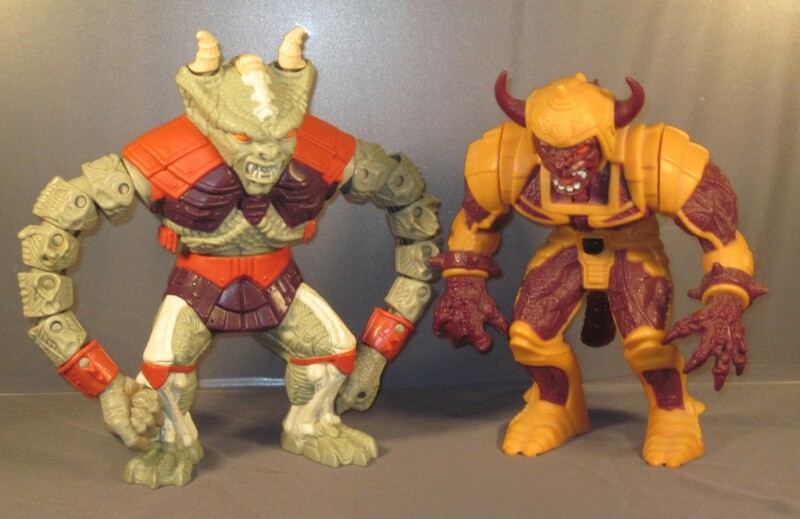 That same year, Hasbro introduced Inhumanoids, a toy line based almost entirely around the monsters rather than the heroes. In all of these lines, the monsters kept growing and growing in size, which was great for a generation of kids who didn’t grow up with things like The Great Garloo. Though they were figures, Battle Brawlers were in a sense more like a modified, monsterfied game of Rock ‘Em Sock ‘Em Robots. Crackarm has arms that would try and punch his enemies from the sides, while Hammertail swings around his giant scorpion-like appendage to hit people on the top of their noggins. Conveniently, each character had buttons placed in their weak spots that corresponded to the other figure’s actions, so it was a matter of who could knock piece off of the other figure first. What I love about the line is the fact that you could really use these figures in just about any toy line and they work. They tower above most fantasy figures, so they can serve as foes for He-Man and Lion-O if needed. They are basically just awesome monster designs wearing armor, and they are both very, very evil-looking, like something Les Edwards would have designed for old Games Workshop games. The series only included these two figures, so if you want to collect the line, the only work you have ahead of you is finding them, which is not impossible. I found Hammertail at a toy show and later found Crackarm at a flea market. 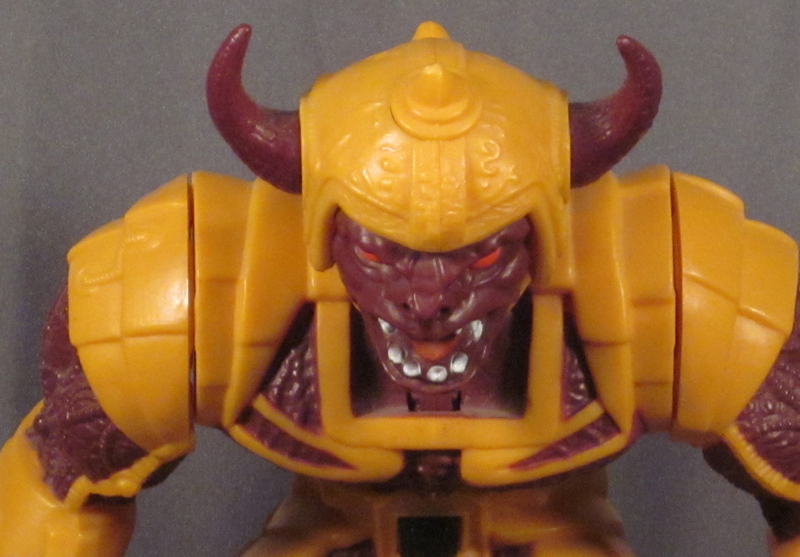 A word to the wise, though: the name “Battle Brawlers” is used by Bakguan toys, so if you go searching for these online, you might have to wade through a bunch of stuff you don’t want. 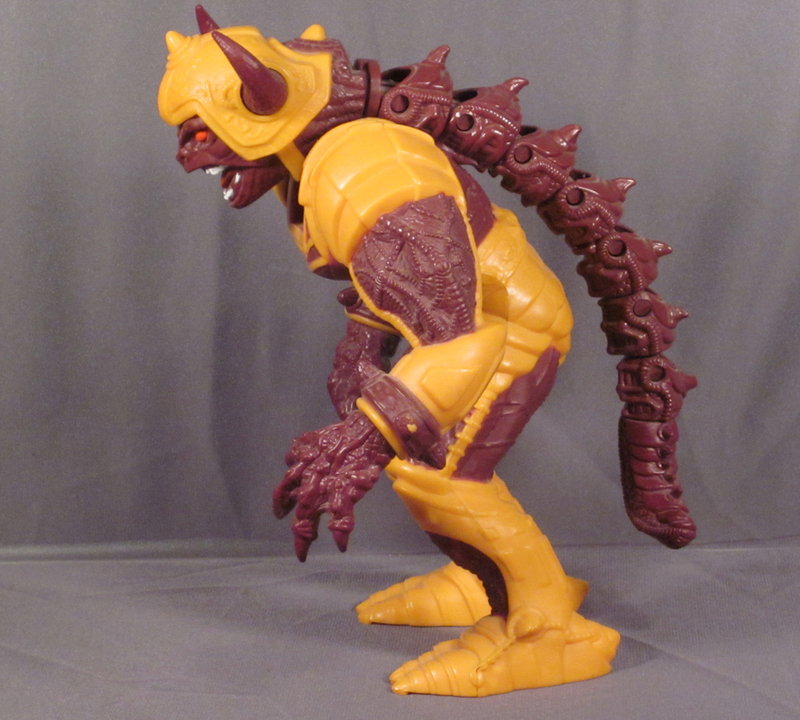 However, they are absolutely worth seeking out for any fantasy or monster toy collectors out there! This entry was posted in 1980's, Action Figures, Ben, Monsters, Toys. Bookmark the permalink.